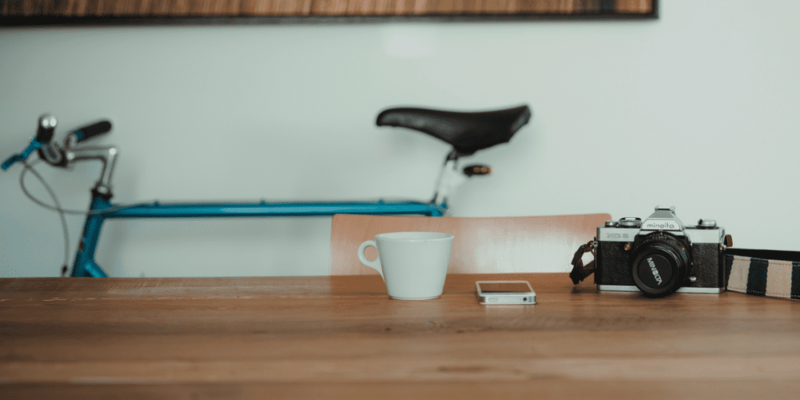 While your bike might be one of your favourite things that you are happy to see on a daily basis – having it right in eyesight or even worse, in the way, might not be for everyone in the household. Maybe you’re even an avid cyclist with numerous bikes? Either way, bikes are just one of those items that are awkward to store away neatly. If it’s not tripping someone up in the hallway, it’s rubbing marks against the good wallpaper. Bikes can be a small rooms worst nightmare taking up tonnes of valuable space. If you aren’t able to keep it nicely out of the way in a safe place in your home, you might need to consider alternative options to store your bike both indoors, outdoors and elsewhere. 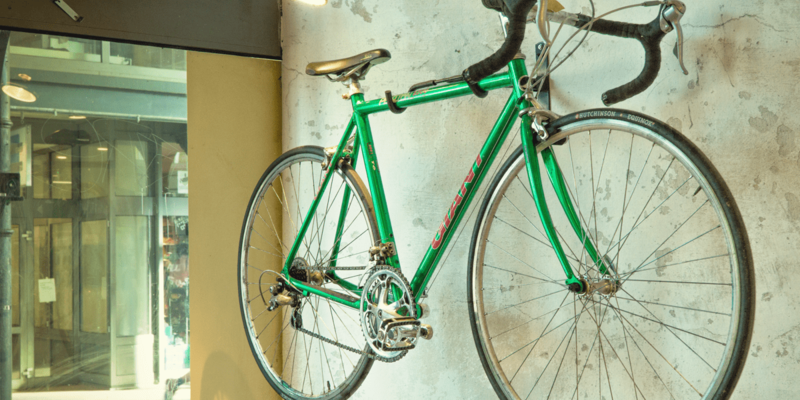 Lucky for you we have come up with a list of these 6 clever alternative bike storage ideas. Hopefully, some of these ideas will tickle your fancy and you can finally get rid of the living room garage. 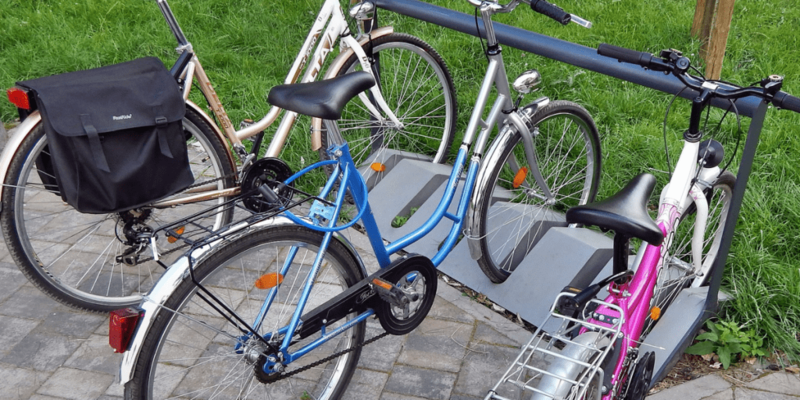 If you live in an apartment or simply don’t have the outdoor space to keep your bike safe and secure, then you may need to get clever about how to store it in your home. If you really love your bicycle and think it’s a work of art then why not use it as one and have it as a focal piece on your wall. There is a range of different bike racks, hooks, mounts, and shelves to hang your beautiful bike to whatever wall you desire. They all come in a range of interesting designs, materials and colours so you can really make a statement. Hear me out. I know it might seem crazy, and unpractical surely, but it is actually becoming a huge trend to hoist your bike up the skies above. Well, technically the ceiling. If you have ample overhead space then why not make the most of it. By using a bicycle hoist that works on a pulley system you can easily and safely hoist it skywards when you aren’t using it to save all your floor and wall space for other things. You know those hoisted laundry racks that are often used in tall victorian flats to save space? Well, you can do the same for your bike. We did tell you this was a clever and alternative guide to storing your bikes. 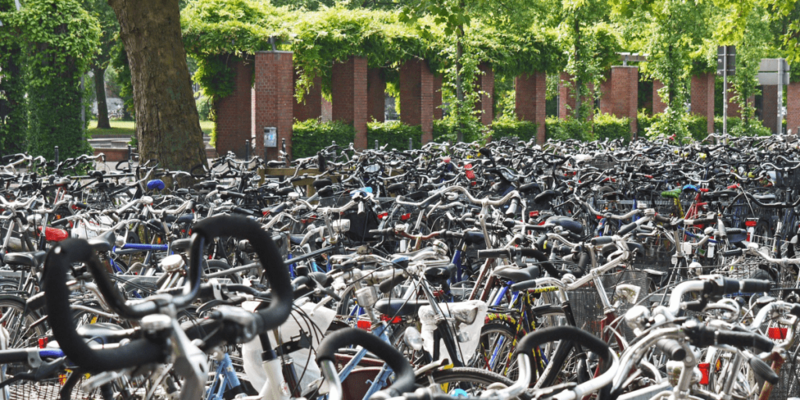 The best place to store your bikes is in areas of unused space. What do you do with the space underneath your staircase? If the answer is nothing because it’s hard to get into without banging your head – then this could be the answer to your bike space woes. By adding hooks to the underside of your stairs you can hang your bikes safely and neatly in a space that otherwise wouldn’t be used. Okay fine, you can use a stand if you want. Stands won’t exactly solve the issue of space if it is only one bike, but if you have two, well, then a stand could change your life. Well, it can save you an extra bit of space that the second bike would take up. You can buy stands for multiple bikes to stack them on top of each other. It also helps keep the place a little safer if the bikes are secured and not just leaning against a wall. If you have access to your own storage shed in the garden whether it be a bike shed, garden shed or a storage shed (if it is safe and secure) then this is the ideal location. However, storage sheds can have some issues with security and protection from the elements and to improve on this could cost quite a bit of money. Feel free to read our article: Should I Rent A Self Storage Unit or Buy A Garden Shed? To find out more information. For security and space, we think a self-storage unit is the way to store your bikes (and tons of other things too!). If you’re not on the bike too often, then renting a storage unit can really be a game changer. A storage unit can provide a safe, clean, and dry space to store your bike to avoid any risks of damage or theft. It also means you don’t have to sacrifice any space in your home, actually, you will probably save much more space once you start to realise all of the benefits a storage unit can offer you. 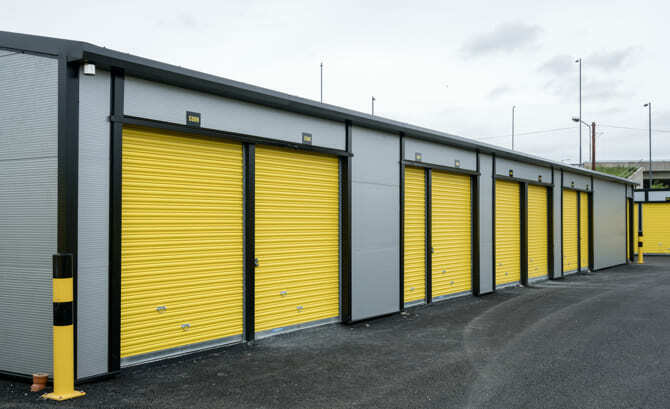 If you have any more questions or want to find out more about self-storage units then please contact us on 0141 280 2527 or send us a message here.